It’s a world away from the philosophy of ‘less is more’. 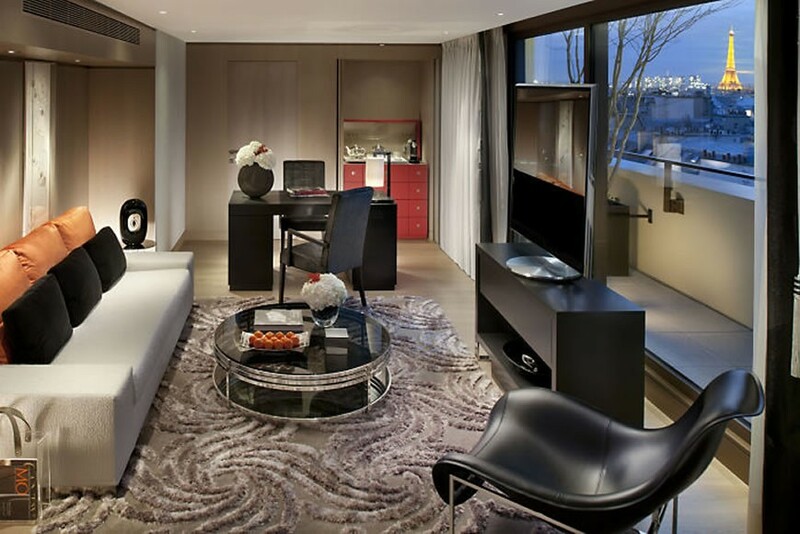 In fact, just like the others in the group, the Mandarin Oriental in Paris is all about lavish living and luxurious accoutrements. If your idea of a hotel is a plush place where you can indulge your senses and be inspired by modern design, then this is the one to pick. 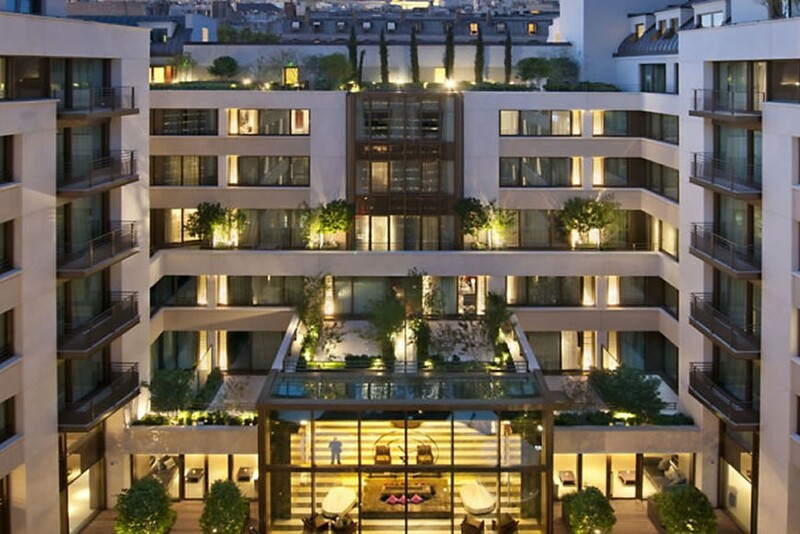 Location is everything on a holiday, and this is one address that you will covet. 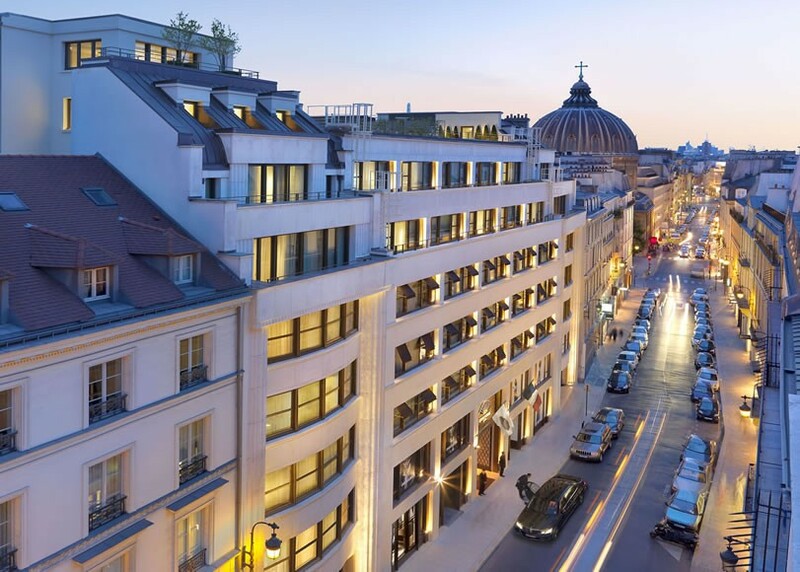 It’s right on the famous rue Saint-Honoré in the centre of Paris’s prestigious first arrondisement, surrounded by the leading names in fashion and walking distance from the Louvre, Place Vendôme, the Tuileries Gardens and the famous Champs-Élysées. 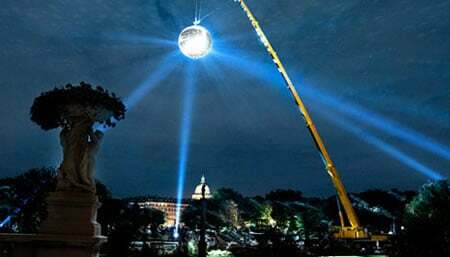 We look up its history going back to the sixteenth century, and find that the site, where this hotel now stands, has been a Capuchin monastery, a hippodrome, a theatre (the Cirque Olympique) and even a royal riding school! Today, it’s THE place to go to see (and shop) the best and brightest of the luxe life, everything from Armani to Zegna and subtle bespoke to super premium bling. Coco Chanel once lived on this street. Enough said. 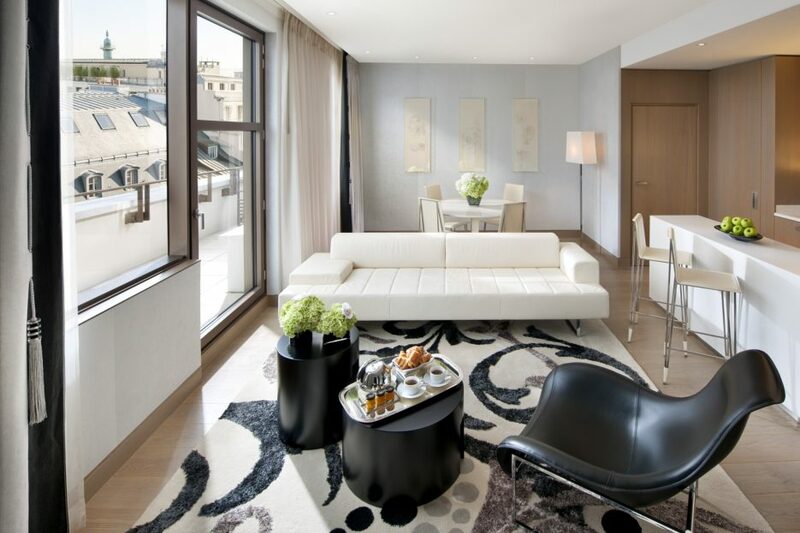 Set in an eight-storey 1930s Art Deco building, the MO has been renovated to perfection. 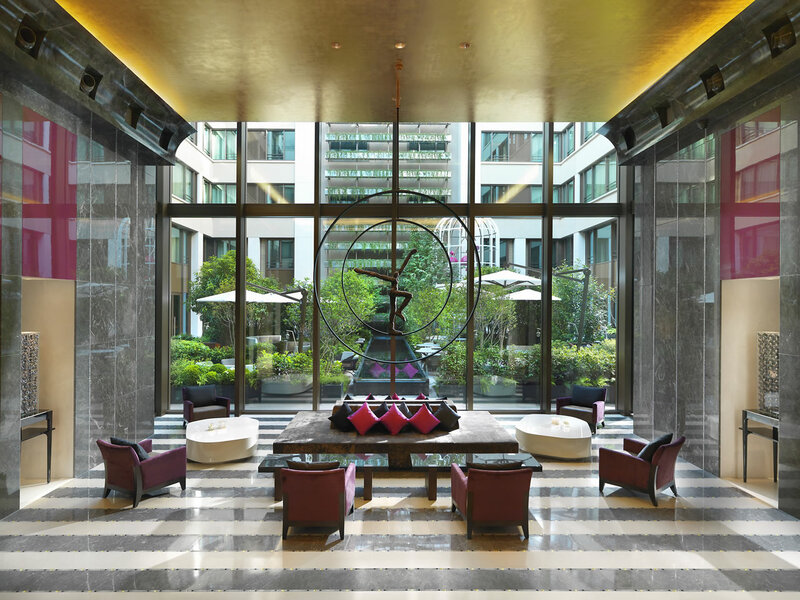 We love the high-ceilinged and serene lobby, dominated by the group’s trademark hand fan (there’s a unique one in every MO, specially created to capture the essence of the city it’s in). We are told how this one, crafted from velvet, glacé leather, vintage sequins, pearls and coloured butterflies by Maison Lesage, took 200 hours to make. 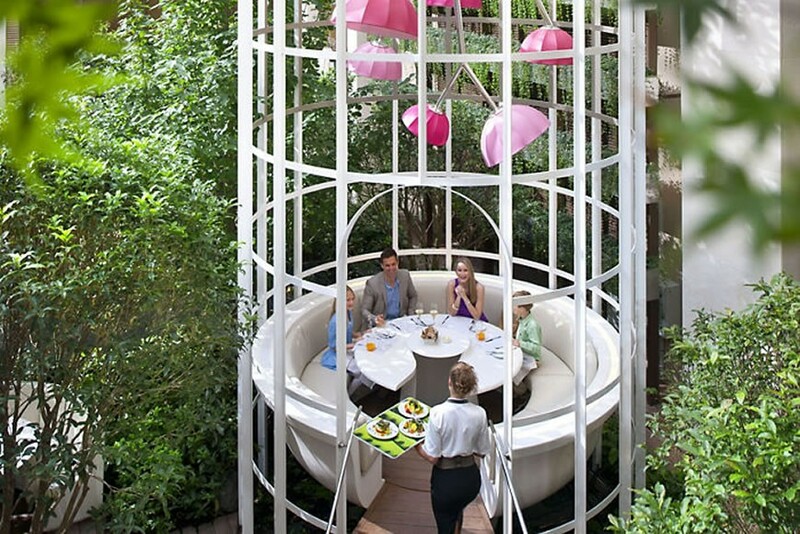 The super-sized fan, the kitschy giant birdcage that presides over the enclosed garden, the white-on-white Spartan elegance of the indoor section of the Camelia restaurant, it all combines Oriental whimsy with Parisian flair. Our Mandarin Room is deceptively simple yet actually quite sumptuous. 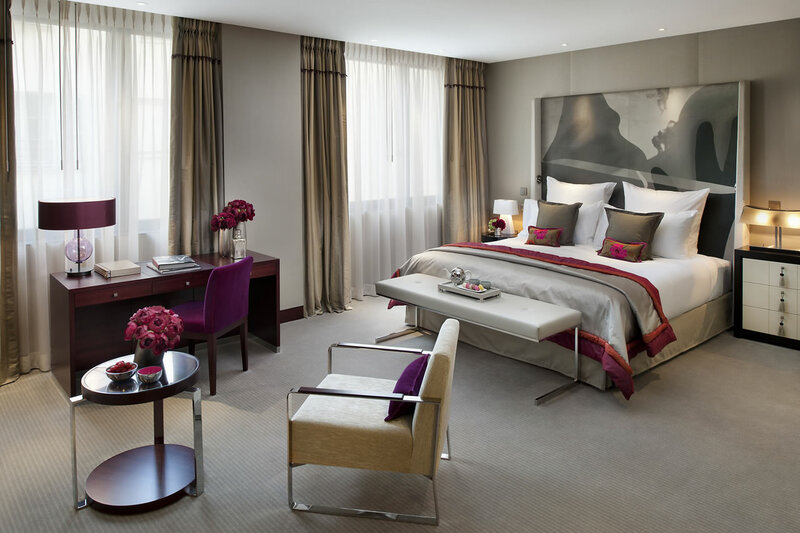 Think silks in deep fuchsia and shades of grey, goose-down bedding, Josephine Home 500-thread count linen, plush pillow menu, Nespresso machine for coffee, iPod docks and Bang & Olufsen TVs, even a waterproof telly in the bath, Diptyque bath products and Frette bathrobes. Although at the lower end of the spectrum among the 99 guest rooms, it is spacious, completely sound-proof and gets plenty of sunlight. But be it this room, one of the bigger ones or even one of the 39 more generously proportioned suites, each has its unique features and décor. 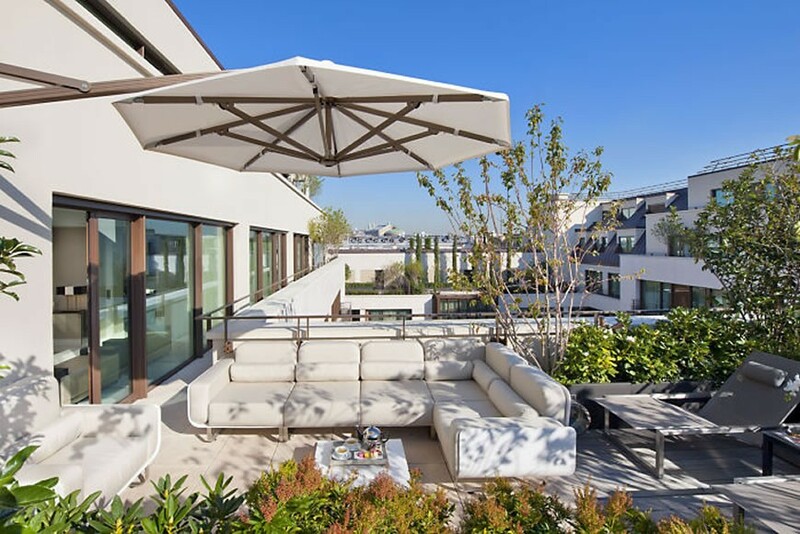 Seven of these beautifully sunlit suites are fabulously designed duplex. And the crowning glory? 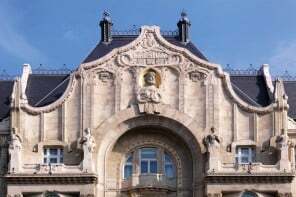 The Royale Mandarin suite, which, being all of 350 square metres, gives guests a sweeping 360° view of the rooftops of Paris and its landmarks – Montmartre, the Garnier Opera, the Grand Palais, the Louvre and the Eiffel Tower! 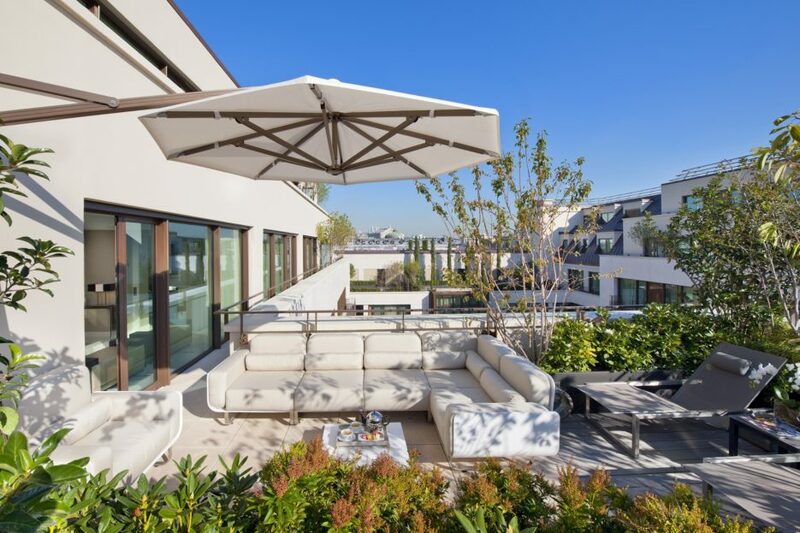 The best bit of it all is that this suite can be connected with the other top floor ones via adjoining doors to form the largest suite in Paris, at almost 1,000 square metres! 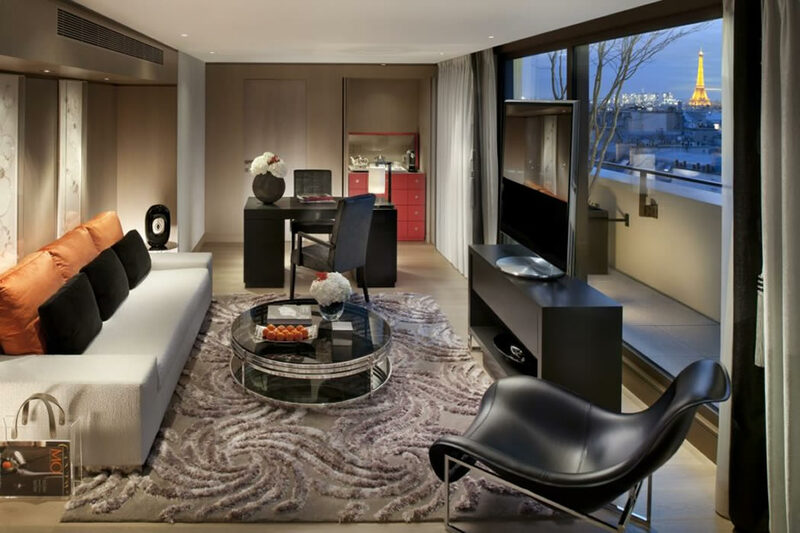 In a city that is known amongst travel circles for its swank but almost microscopic hotel rooms, the MO’s ‘J’aime Paris’ (I love Paris) Penthouse Floor space’s jaw-dropping size comes as a pleasant surprise for us. 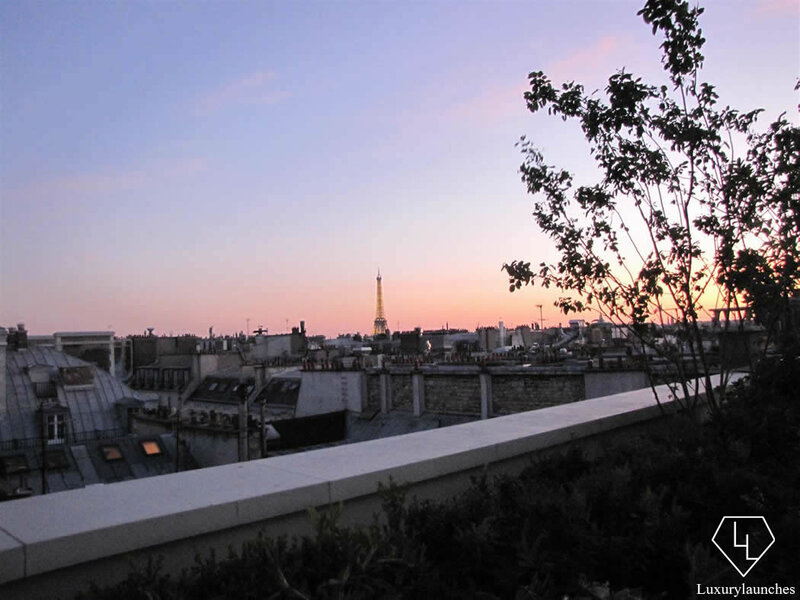 We step on to the wraparound balcony to watch the Eiffel Tower at sunset. What’s outside is fantastic but the view within is fabulous too. The best feature of this hotel is definitely the décor. 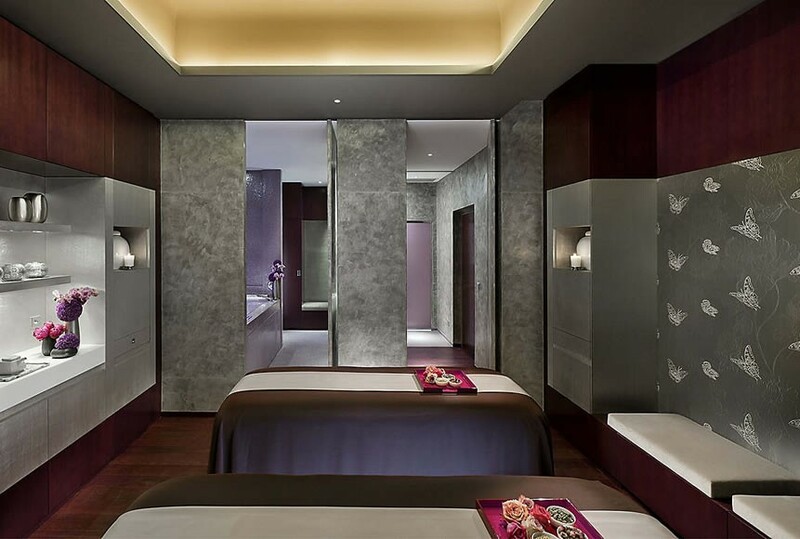 The magic touch of Sybille de Margerie is evident in the interiors as well as the sumptuous spa and public spaces. 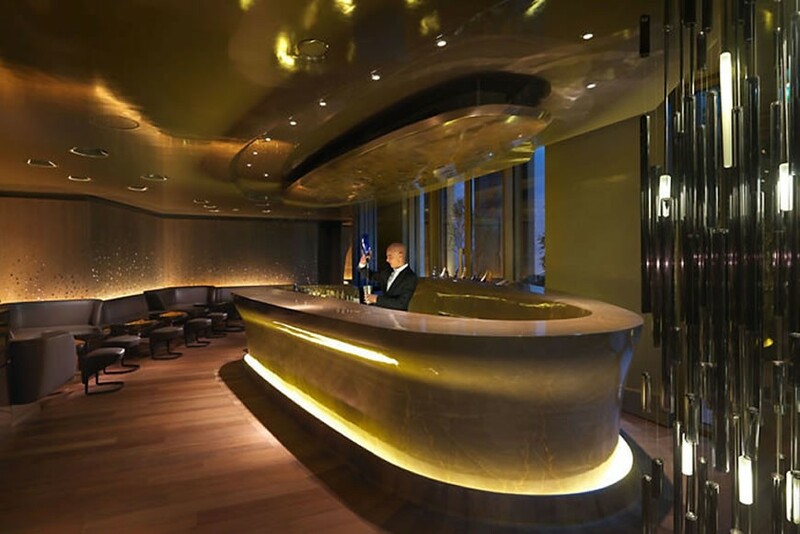 Sybille comes from the Taittinger lineage, a name that stands for high-end champagne and the luxury hotel business. She has been instrumental in some of the world’s premier projects and knows and understands luxury like few others. She has waved her design wand over the various suites and rooms, most of which will certainly hold you spellbound. The Royale Mandarin is a symphony in subtle tones – gold, white, beige and plum – accented with opulent gilded oak, marble, lacquer, velvet and silk. The bed features embroidery by Lesage, inspired by 1930s American photographer Man Ray’s splendid work. The Royale Oriental is a true blend of East and West. 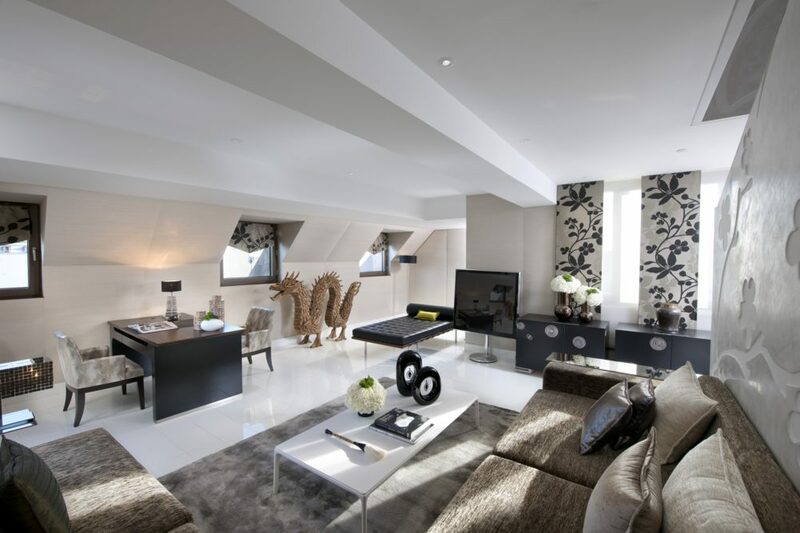 We like how the two levels are decorated in white and beige, with startling swathes of black and green. Lacquer blends with velvet, ebony with marble for an emotional journey from Paris to the Orient. The butterflies that make their mark in the lobby and restaurant, and even on the carpet outside each room door, pay a return visit on the staircase inside as well as on an artwork at the entrance. A lot of innovative transitions between the different spaces allow you to decide how you want to occupy the room, whether you want it intimate or open. Textures and hues abound, with taupe silk cushions and embroidered taffeta in shades of orange, magenta and plum, along with stunning B&W photographs by Iranian lensman Ali Mahdavi, who, Sybille believes, captures the soul of Paris fashion. And then there are the Couture suites, where ecru is the leit motif, accentuated by either coral or plum. We love the one named Fils de Soie, meaning ‘threads of silk’, which has shimmering strands running through the entire room, be it the tapestry, the framed paintings or even the textured walls themselves! The others are named Broderies de cristal, Coromandel and Arabesques, and each is a one-of-its-kind designer creation. You can indulge your yen for design and feast your eyes on exquisite embroidery by Lesage, with silk, pearls, crystals and sequins. So luxe, it puts Marie Antoinette’s excesses to shame! 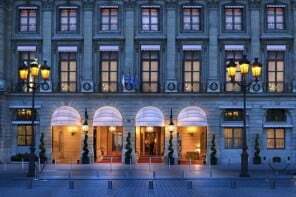 One of the largest hotel spas in Paris, this place still feels so intimate and beautiful that you’d be forgiven for thinking it’s smaller than the 900 square metres it boasts. 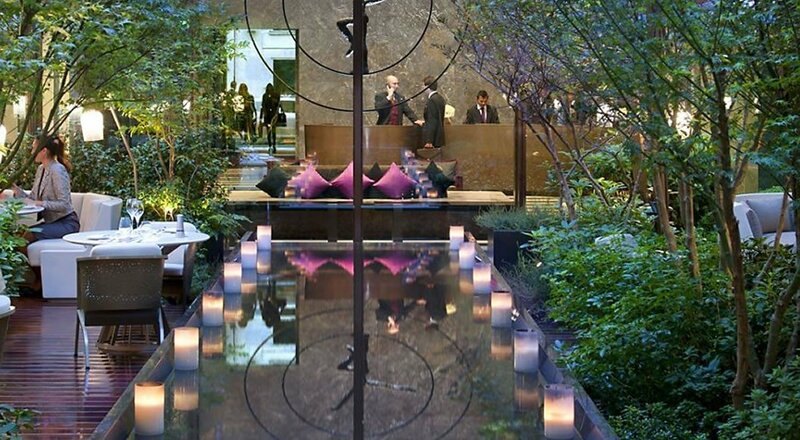 Most spas aim to be tranquil, but few achieve it quite like this one does. 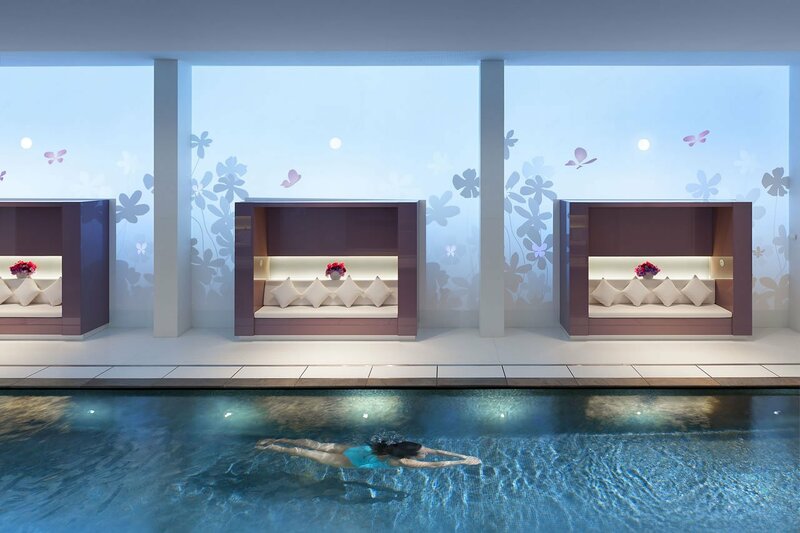 Right from the pearly sphere that is the entrance to the 14-metre indoor lap-pool surrounded by a translucent wall on which butterflies and foliage move in a poetic, almost hypnotic, rhythm, we realise how much effort they’ve put into creating an effortlessly surreal sensation! The white and carmine glass mosaic floor is studded with butterflies in silver leaf. 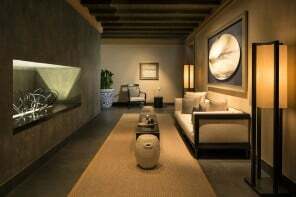 This dreamlike work leads to another floor, where seven spa suites (of which three are double suites for couples), decorated in shades of amaranth, taupe and silver, allow us to enjoy a wide array of holistic spa treatments and signature therapies. We love our fab facial from Guerlain. 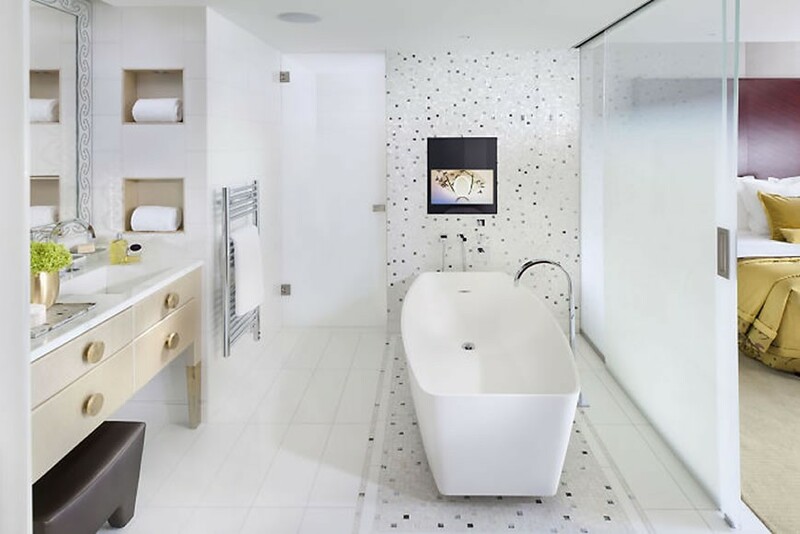 Something we have learnt from another international luxury hotel chain is how much detailing goes into giving the guest a seamless experience and a few special surprises. At the MO, they certainly do it well and do it often! 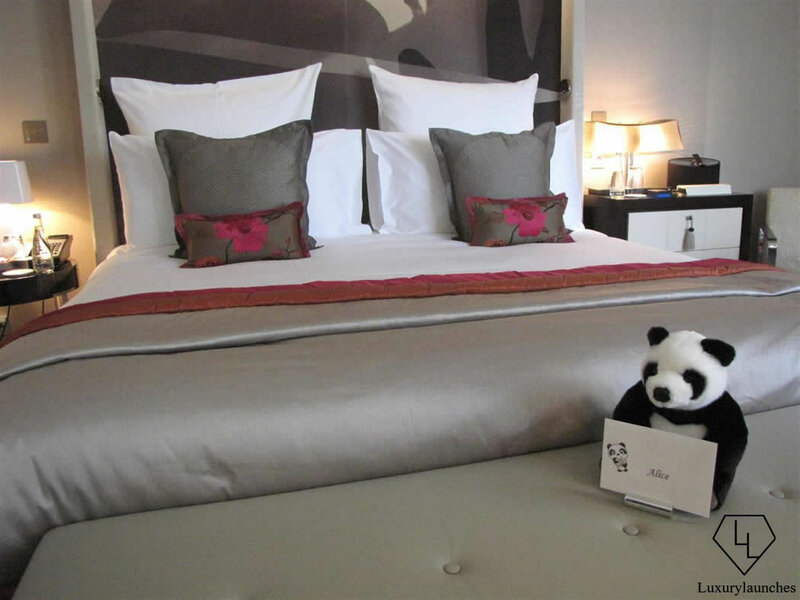 If you check in with a little child, there’s a cuddly panda toy in the room, waiting to be hugged even before you enter. If you leave your book open and go off to the Louvre as I do, you’ll come back to find a beautiful tasselled bookmark in the shape of a fan marking your place. Anything you need at all is almost presciently procured by housekeeping. And then there’s the wonderful concierge on call, to pander to your every whim, great or small. In fact, we have a super-charged discussion on the Parisian food scene with Adrian Moore, the assistant head concierge, who is a famous food blogger and raring to launch his own insider’s chef book with a major publisher this fall. 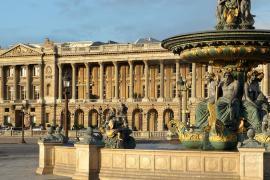 Adrian Moore is one of the most ‘in-the-know’ people to get Paris tips from. Speaking of the impeccable service… We really enjoy our pajama-clad in-room dining experience, where a very capable butler swooshes in with a large round table covered with crisp white linen, lays it expertly, places our dishes perfectly, adjusts the angle of the TV screen to suit us admirably and disappears discreetly. But then there’s a chance to get all dressed up and try Sur Mesure par Thierry Marx, a two-Michelin star restaurant that is very popular among Paris’s swish set. When we enter, we almost instantly feel like we’re inside a cosy white cocoon, a serene space away from the hustle and bustle of the city. 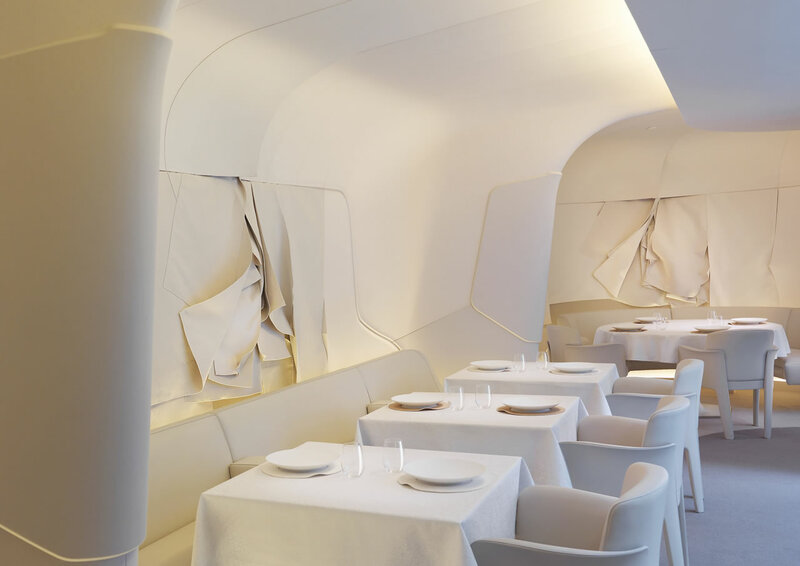 You will be drawn into a unique atmosphere that is heightened by the walls and ceiling draped in white fabric. A light well in the centre of the restaurant frames an elliptical, ethereal structure that appears to float in mid-air. The design forms the perfect backdrop for Chef Thierry Marx’s creations that pay particular attention to shapes and colours, textures and temperatures. It’s an invitation to experience new sensations, starting right from the menus, which are printed on Japanese rice paper! If you’re lucky like we are, you may even get to eat off the French porcelain dinner service in white and gold, which Jouin-Manku designed specially for this restaurant. Every meal here is between five to eight courses of true avant garde gourmet. There’s also Camélia, a more casual dining option named for the camellias whose scent fills the indoor landscaped garden on a summer’s day. We love this light-filled space, intended as a continuation of the garden (where you can choose to eat too). Be it a bright and breezy breakfast or a five-course dinner as the shadows lengthen, the garden tables, set amidst foliage and water courses, lend a lot of character to our meals here. In summer, try their homemade ice-cream bars (we like the strawberry and raspberry sorbet). In contrast, the atmosphere at Bar 8 is deliberately intimate with warm browns and blacks, and dark wood walls inlaid with Lalique crystals like delicate raindrops that remind you of a green rain-soaked forestscape as you sip solo on your single malt or share a bunch of laughs with your friend at cocktail hour. As the hotel is located on rue Saint-Honoré, named after the patron saint of bakers and pastry-makers, it’s but natural that they have reserved a special place for their designer pastries. Don’t forget to try a Le Saint-Honoré, a decadent layered puff pastry filled with pastry cream flavoured with vanilla and caramel that’s been recreated by the hotel’s pâtissiers from a traditional recipe. 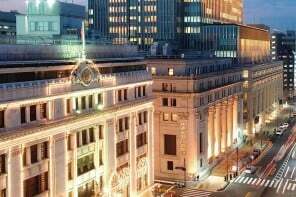 As with everything else, here too the Mandarin Oriental brings the cutting edge of modernity while celebrating old-world charm and opulence. Always a winning combination in our book. Address: 251, Rue Saint-Honoré, Paris, France. Tel. 33 (0)1 70 98 78 88.